Our project features in the New Zealand Herald today. The article is illustrated by several pictures from this blog, which give a good impression of the painting quality and the amount of figures. 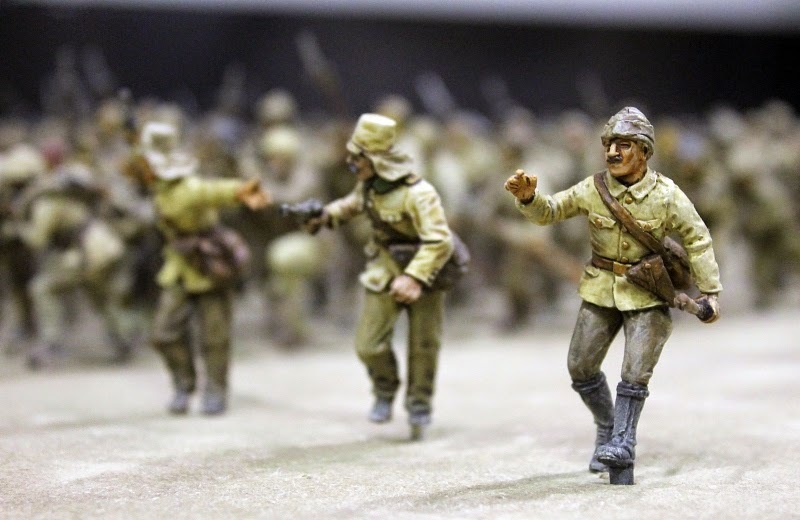 Some of the pictures of Turkish figures in the article are mis-captioned as being Anzacs. 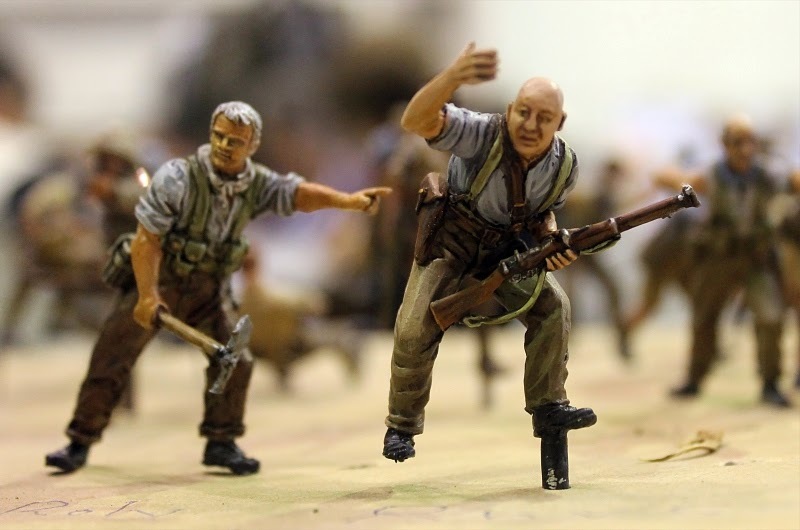 There's even the picture of yours truly (left) and Armchair General (right) in miniature - perhaps a little reminiscent of Baldrick and Blackadder!